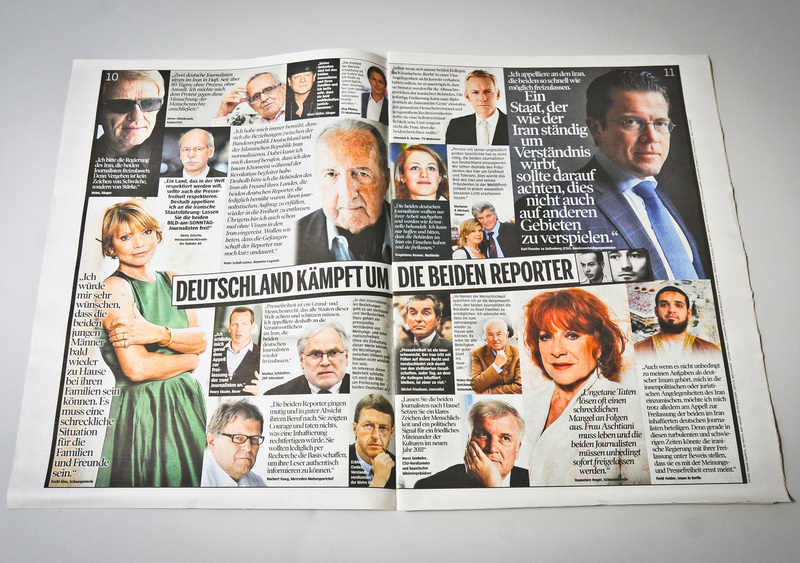 BILD am SONNTAG* is the biggest German Sunday newspaper. 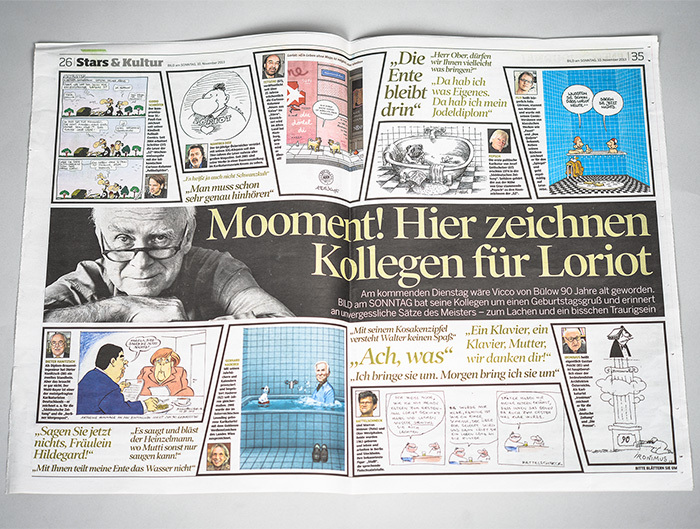 Veronica Illmer und Helmut Steindl alongside Lo Breier were part of the art direction until the end of 2013. The middle part, the guide (Ratgeber), was usually produced during the week. 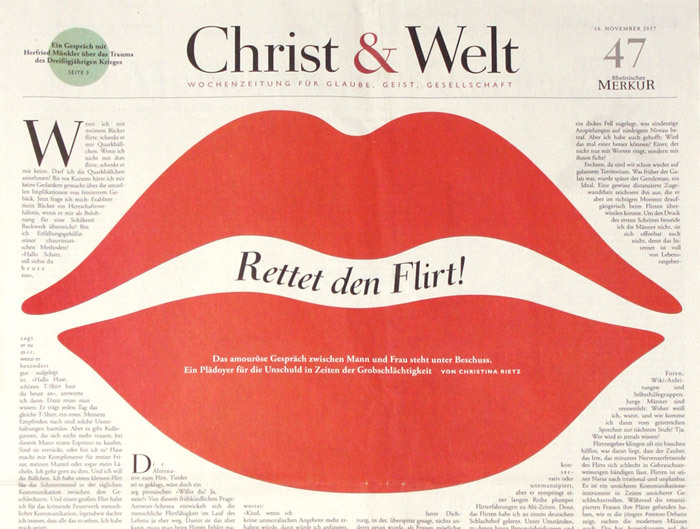 The centre spread featured the so-called speaking picture (das sprechende Foto), typically showing a place or thing that is then explained in more detail. 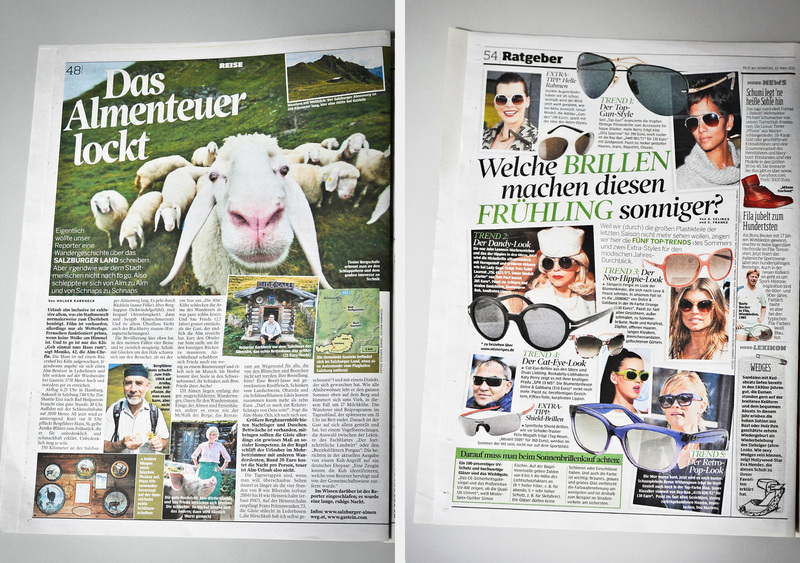 On Saturdays, the main production day of BILD am SONNTAG, I often created the VIP-pages (in close collaboration with editor Carolin Dendler). They were published over 3 to 4 pages at the end of the newspaper and were prepared on Fridays. I was able to work quite freely on the design, it was supposed to be a colorful mix. 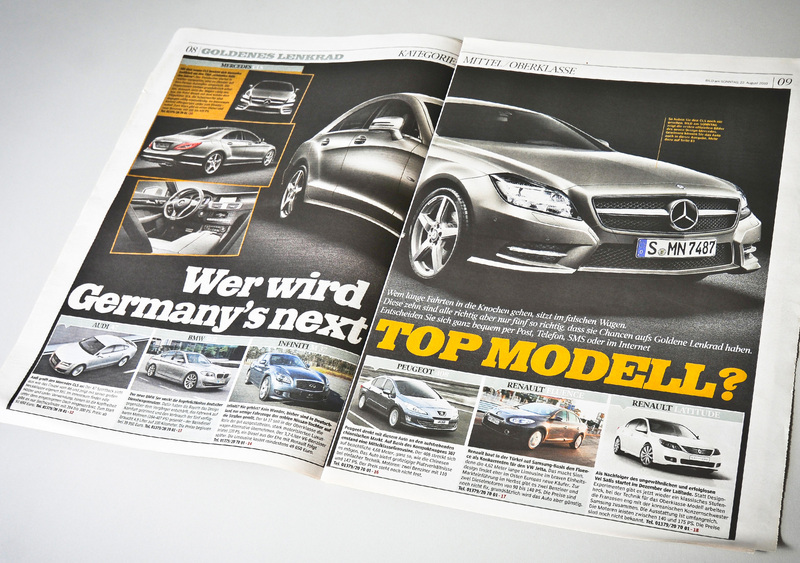 My first project at BILD am SONNTAG was the adaptation of the special supplement for the Golden Steering Wheel (das Goldene Lenkrad), an established award for new car models. From 2010 onward, I worked on three issues of a Christmas supplement as well. The basic elements (such as typography and grid) were developed for a special magazine called Sunny in a free team that I was part of. Under the guidance of Veronica Illmer I was responsible for working on all basic design forms and to transfer them from QuarkXPress to InDesign. 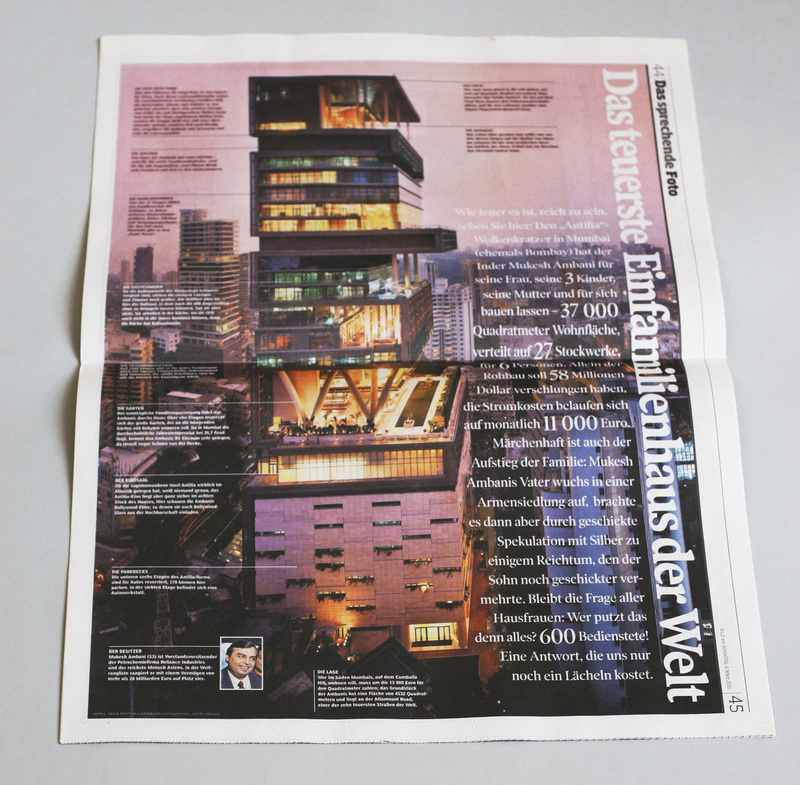 In fact that was the reason I was hired: I could work with both programmes and was experienced in typography. It was then a learning by doing process to create the newspaper. I’m glad I got the chance to do this without specific experience in the field. 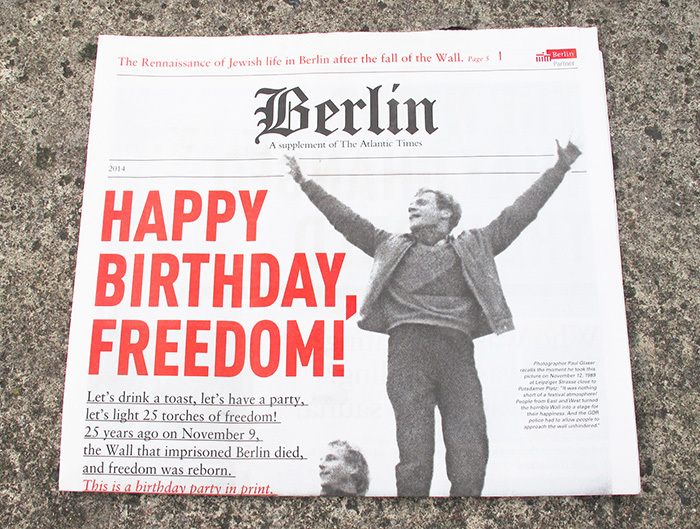 * Not to be confused with the daily broadsheet BILD Zeitung. The sister paper has a different style and its own editors. Both are part of Axel Springer AG — one of the largest publishing houses in Europe.